I have a few fun lesson helps to go along with Lesson 29, I can be a good example. You can find the lesson here. These also work for Family Home Evening too! Also I'd love your input for future lessons. What works for your class, what doesn't, favorite games and activities, or any other suggestions or requests? Let me know! This first one goes along with the discussion section. Scripture mix up if you kids are old enough to read. Print and cut the words apart. Have them work together to to put the words in order. You can have them look up the scripture for some help. 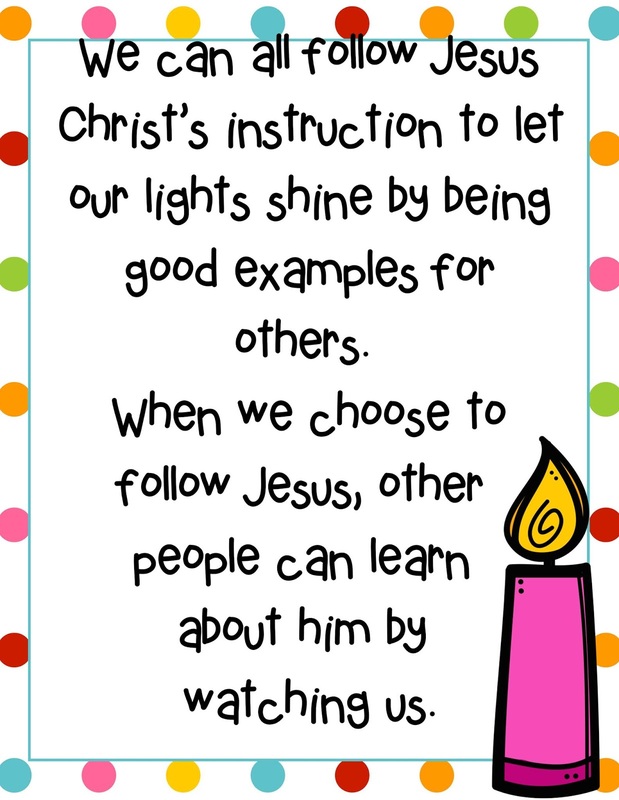 Explain that letting our lights shine means to be a good example. 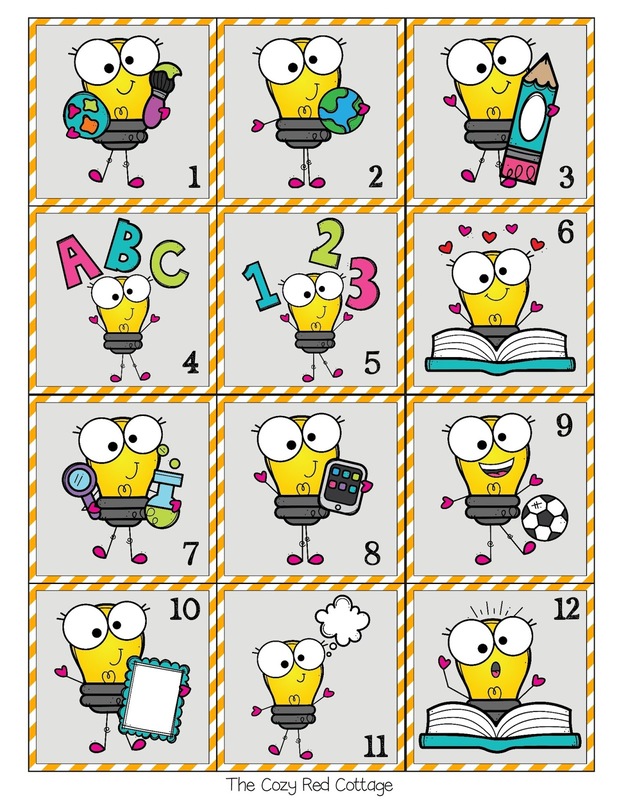 You can display this cute poster on the board. 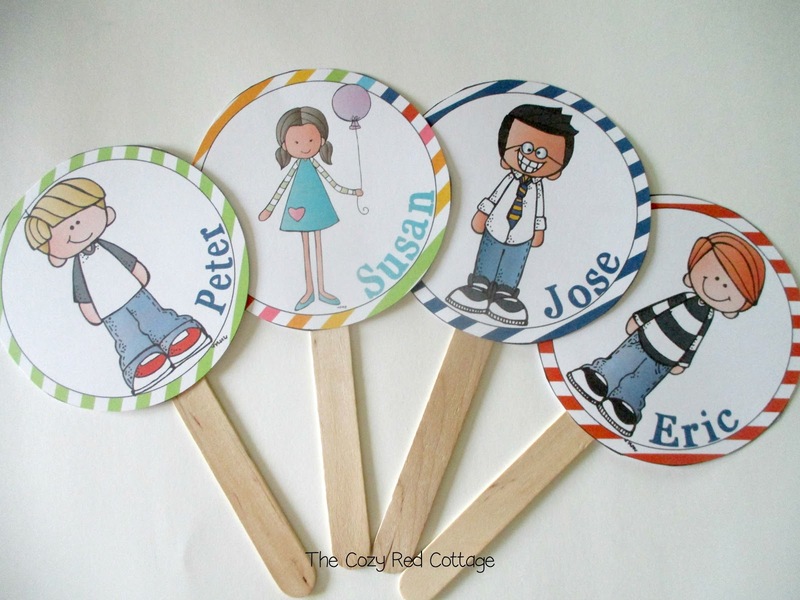 Each story has a basket, candle with a name, and a puppet to show while you tell the story. 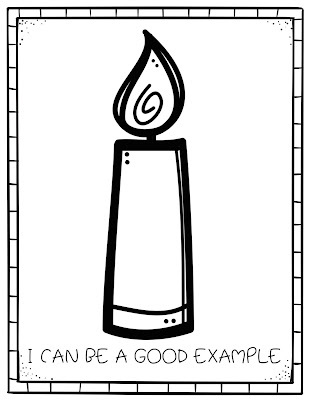 If you print these on cardstock use some of the left overs to cut a small rectangle not much bigger then the candle. Tape to the bottom of your basket then slide your candle in. You can hold them up and the candle will stay in place until you gently slide it down. Here are the character puppets for each story. Aren't they cute! 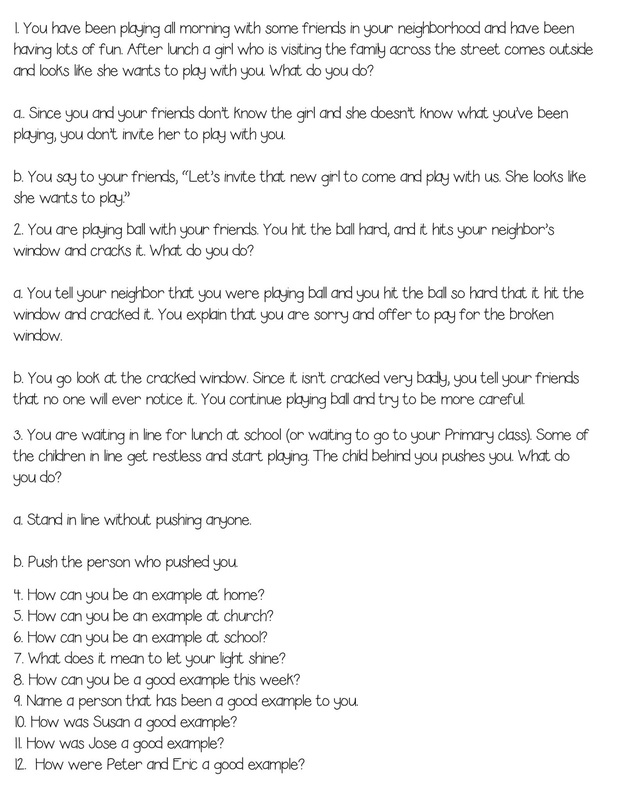 After the three stories I combined the child participation, scripture, and song into one activity. Here's what I'm going to do. Sing Jesus wants me for a Sunbeam. 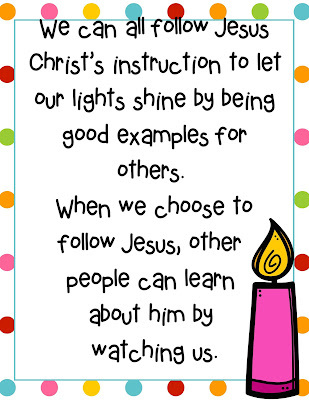 "Help them understand that being “sunbeams” for Jesus means letting our lights shine, as the scripture says." (from the lesson). Pull out the last candle and basket. 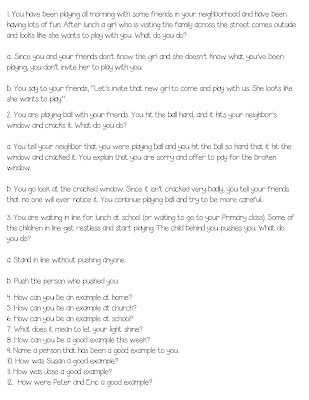 "Ask a child to remove the basket. 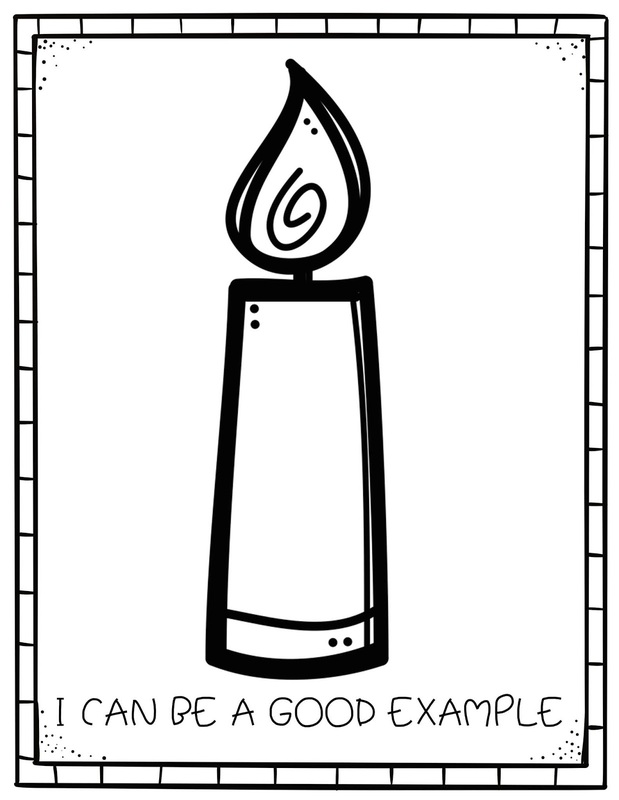 Explain that the “?” on the candle stands for any child who has been a good example." 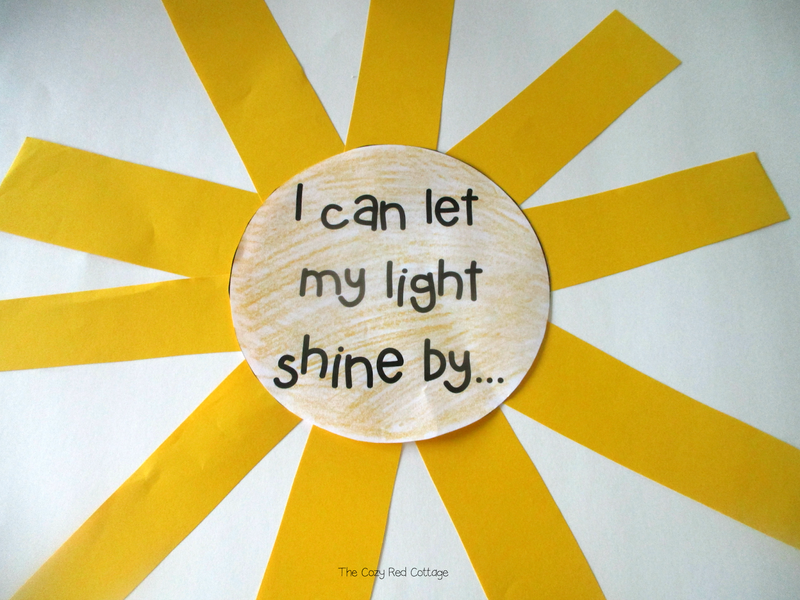 Sun Activity: print, cut, and color the printable or print on yellow paper. Cut several yellow strips of paper for the sunbeams. Display the center of the sun printable. 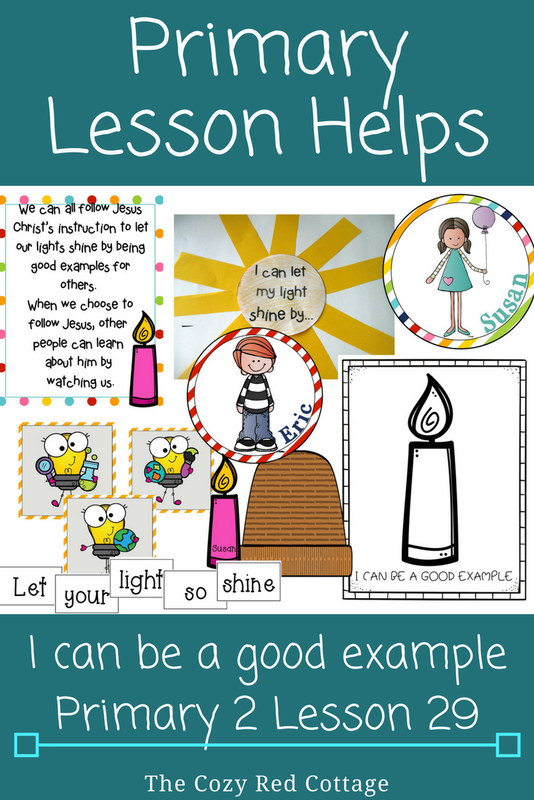 "Invite the children to tell about times when they were good examples." write their answers on the yellow strips and tape around the center circle to create a sun. 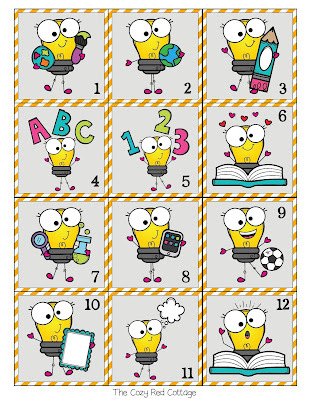 Activity: Light bulb match game. Print 2 on cardstock and cut. Take turns finding a match. Each card has a number that corresponds with a review question or one of the scenarios from the lesson. When a match if found ask the question that goes with that number. Here are the review questions I came up. You can use these or some of your own. 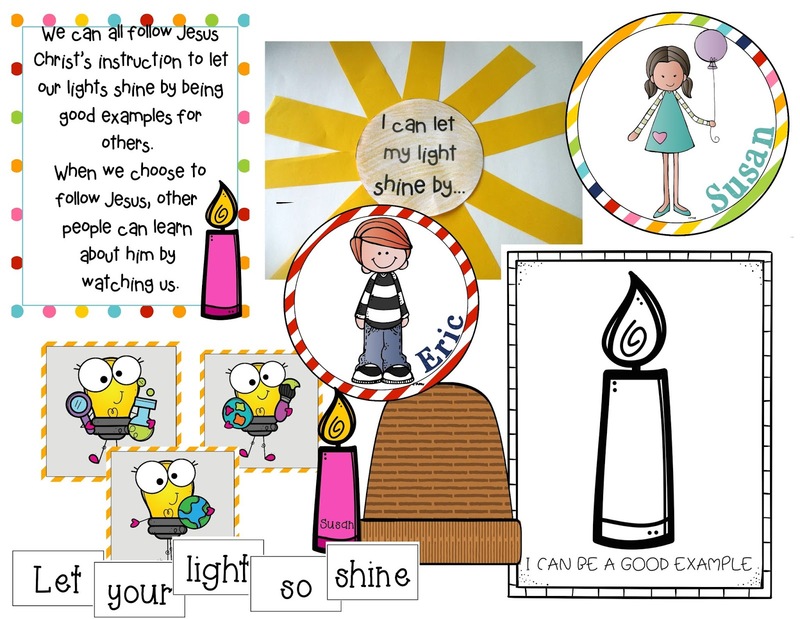 Candle Activity. Have the children write their name on the candle. 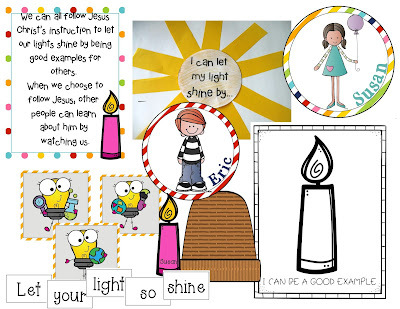 They can write or draw some ways they can be a good example around the candle or just use it as a coloring page. Thank you! Your ideas and helps were so very very timely!! I do appreciate creative and talented souls like you! Thank you so much and so happy it was helpful!